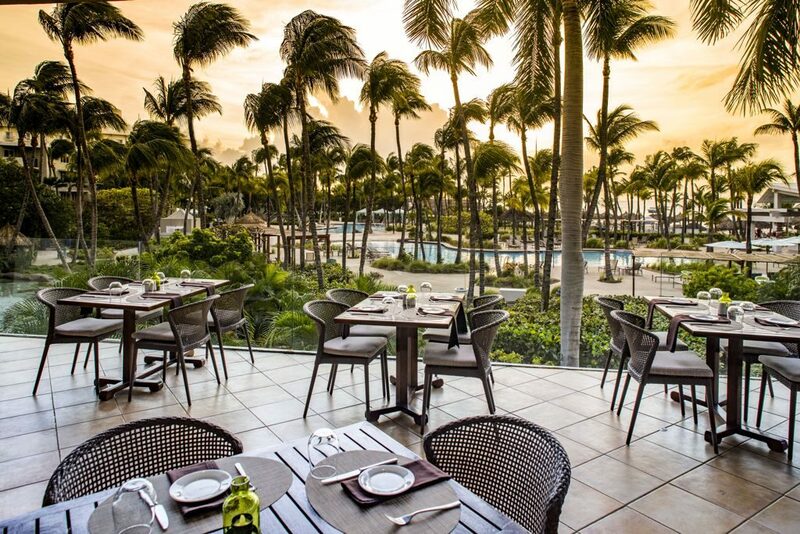 ORANJESTAD — This year, the Mrs. Carnival Pageant celebrated two landmark occasions, Aruba Diamond Jubilee Carnival and also its 20th anniversary as a carnival event. 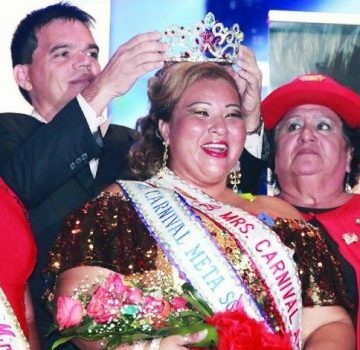 There is enormous enthusiasm for this year’s 60th Anniversary Carnival, which resulted in a record number of contenders for the Mrs. Carnival crown. 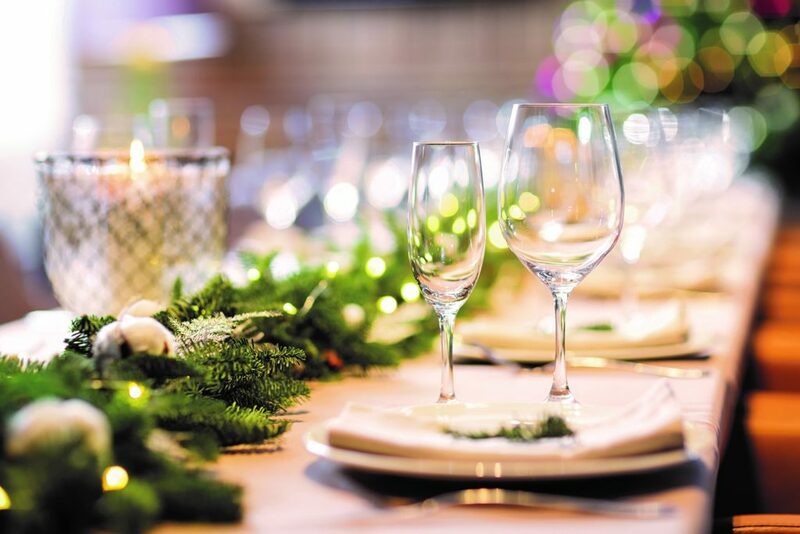 It was originally and for many years a casual affair based on comedy and carnival spirit, aimed at showing you are never too old to compete for a queen crown. 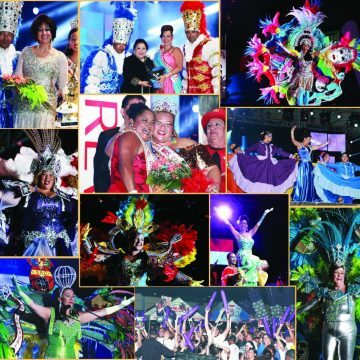 Despite its evolution to include polished performances, elegant gowns and breathtaking costumes, as the other pageants, judges demonstrated that it is that same humor and lively spirit that wins the day. At the end of the evening, the candidate for the brand new carnival group Meta Social Club, Lynette Bernadina, who impressed all with her “Triple D” performance (Dushi, Delightful and Dancing) won not only the crown and title, but the categories of Best Show, Best Speech, Best Costume and Mrs. Popular. 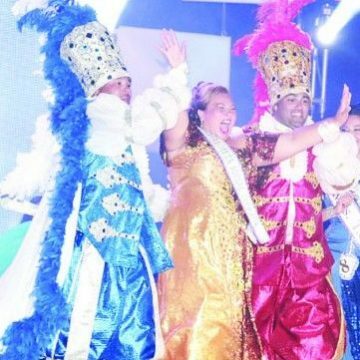 Marylou Fradl-Thode, representing the Fundacion Cas Pa Communidad Arubano, or FCCA and Majestic Carnival Group, was named the First Runner Up. She also earned the SETAR Queen title through popular vote via SMS. 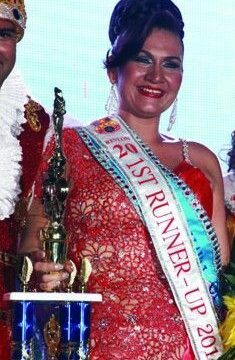 Riri Botta, a veteran carnivalista, was the Champagne Carnival Group queen who garnered the Second Runner Up spot. Meta Social Club and their candidate’s indomitable spirit and quick wit, won the admiration of the judges and TV commentators. 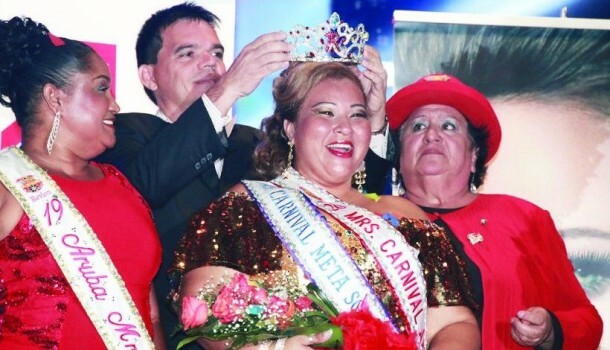 Departing Mrs. Carnival of 2013, Gladys Martina, performed a hilarious routine with a message: you are never too old to be beautiful and vibrantly alive, inside and out, and “No Wheelchair for me, Thank you!” as she passed on her crown to the 20th Anniversary Mrs. Carnival, Lynette Bernadina, a worthy successor.